The holiday season is great. Winter in the city is beautiful, and I look forward to quality time spent with family and friends. But as a harsh wind hit me and made my coffee drip down my cream coat, and I stumbled across this STAUD bag on Shopbop, I realized how truly ready for Spring I am. 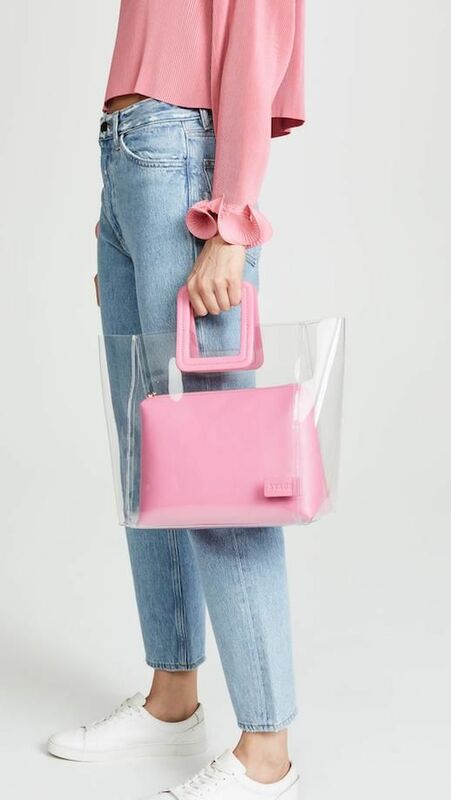 This trendy vinyl bag comes in a poppy pink that'll brighten the gloomiest of afternoons. The best part? It's on sale.